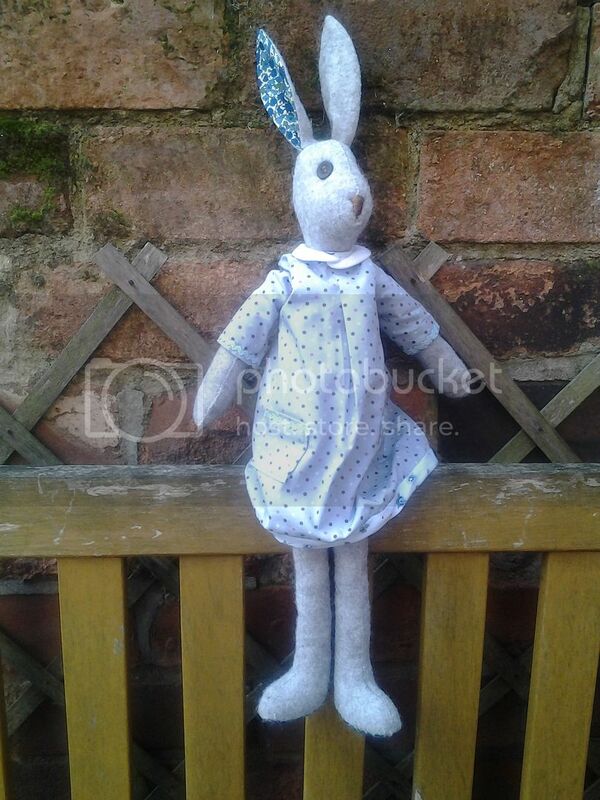 At the Knitting and Stitching show in Harrogate in 2014 I feel in love with Luna Lapin, and bought the kit. Mum fell in love with her wool coat, and so did I, so she bought it for me! 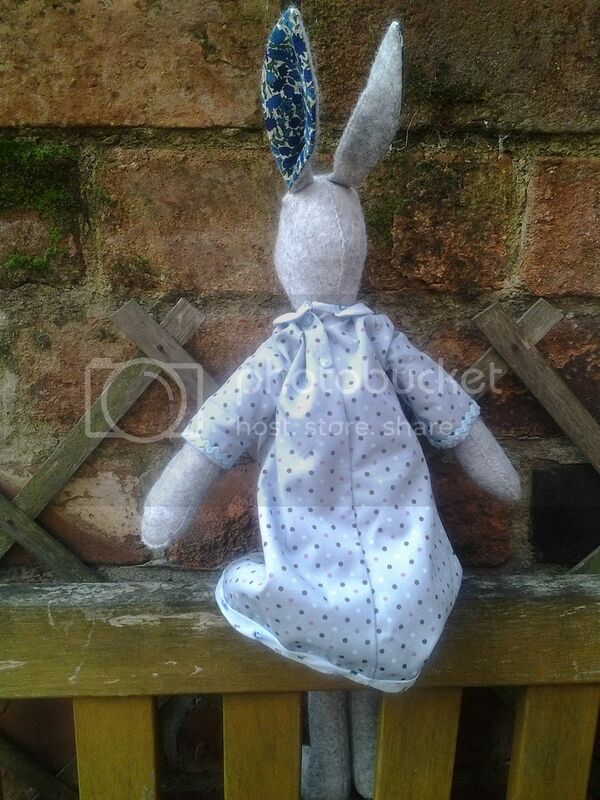 I started making Luna back in August, and I showed you the completed bunny, without face or tail, back in December. Well, not only does Luna now have both face and tail, she also has clothes! The dress kit came with the coat and I much prefer it to the t-shirt dress the Luna kit comes with, so I made this one. I did mess the collar up a bit, but it's not really that noticeable. There was a lot of tiny, fiddly binding with this one, the neck seam is bound as well as the hem of her dress. I also did a pretty bad job with the buttons, they're not actually that skewed, her dress isn't on straight, but the top button is in a funny position. That doesn't matter though as she has her coat on, even in the house! Ta dah! Looking back at the website where I gave you the links at the top, I've done the buttons wrong! Ah well, never mind. I love this coat and would wear it myself, if it weren't so small I can barely get my big toe in the armhole... It took me hours and hours and hours to make. I did my very best sewing and even so it's not perfect. I love the little details like the bands and buttons on the sleeves. I used my new machine to sew button holes for the first time and it was fine on the dress and sleeve bands... then I came to do the main buttonholes. I had a real job! The sleeve was getting backed up behind the foot and stopping it moving properly so they were all different lengths, and some bad planning on my behalf meant they weren't properly lined up or were wonky. In total, I sewed a total of 20 button holes and unpicked 16! I'm happy with that back pleat though! I should have taken a photo of the inside - the hem is all bound, as is the neck seam. Again, fiddly, tiny binding! Despite the faff, I really enjoyed making this and would like to make another Luna with some different clothes. 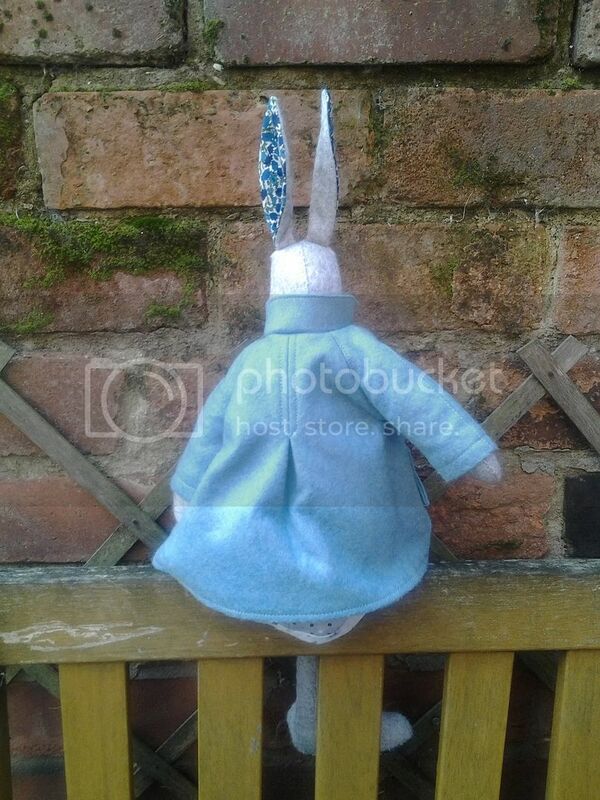 Having looked at Cool Crafting's website, I see more clothes I want but I'm not the type to change the clothes on a toy so I'll need more rabbits! Stitching small pieces is much harder than large ones. Luna is lovely! That is the sweetest, well dressed little bunny I've seen in a long time. 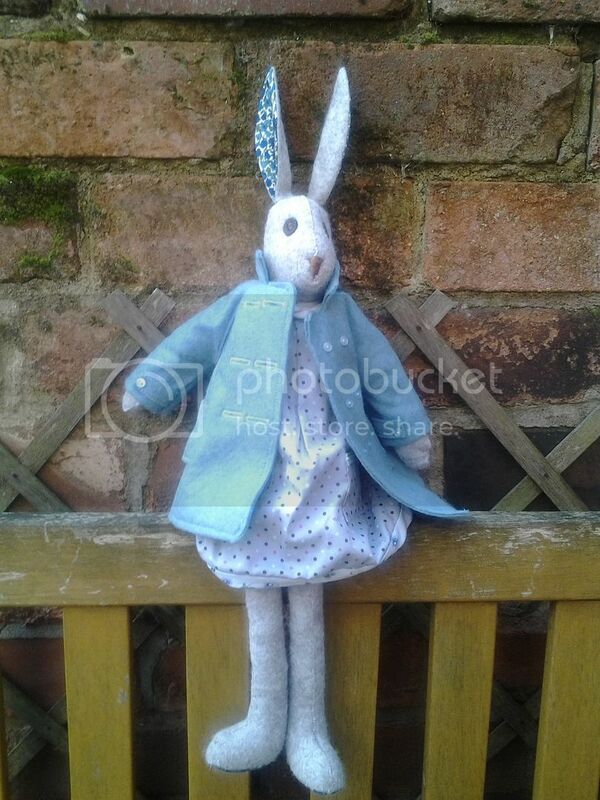 Wonderful, what a neat bunny girl with her beautiful dress and coat. This was a real achievement. She's gorgeous, well worth all the hard work! I love her. She is truly delightful with lovely clothes. Luna loks lovely in her new outfit! Ooohhh, she's so sweet! I don't know what you're talking about, I think you've done an amazing job and I would actually buy her if I saw her in a shop. Lovely! That is too cute. Found you on In Box Jaunt's Open Line Friday. I agree with the others. I think you got too close to your project and actually she's really good quality. She's certainly very sweet and stylish.